Nestled in the eclectic and colourful Kensington Market neighbourhood of Toronto, you’ll find a pale blue home with a horse on the window. This is Fika, a super cozy Swedish Cafe celebrating the afternoon tradition of coffee and cake. Fika is said to roughly translate to ‘snack’ however the owner explains that Fika is more of a ritual, taking a moment to meet with your co-workers or friends for a short time in the afternoon to chat, relax, and take your coffee. Most can agree that coffee without cake is hardly coffee at all and here you can find the most famous pairing to the black brew: Cinnamon buns infused with a bit of cardamom. 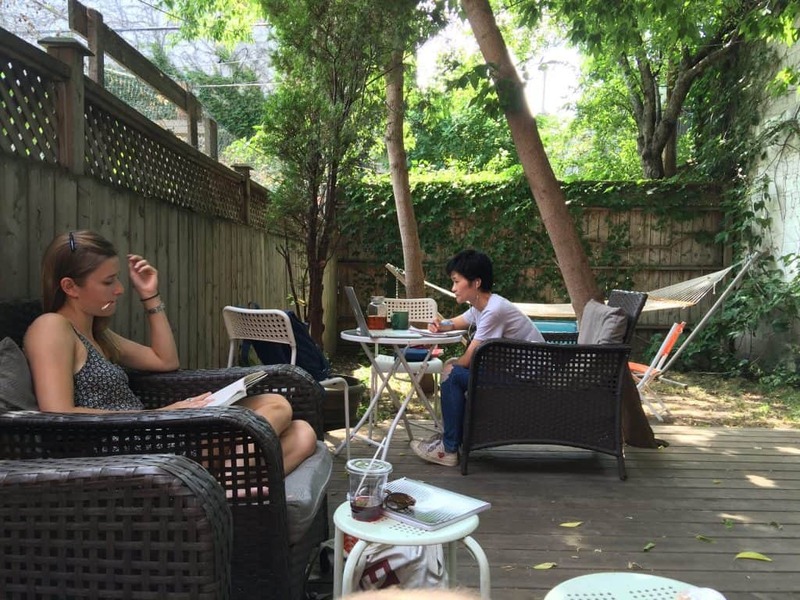 The venue is charming with a front deck for people watching, an inside living room-like seating area, a work area decorated with hundred of books, and a chill back yard with a hammock and chairs. You can come here to celebrate Fika, get some work done, or have a weekend brunch. Most importantly though, you get to escape the hustle and bustle of the city centre. The Turmeric Spiced Latte is great. 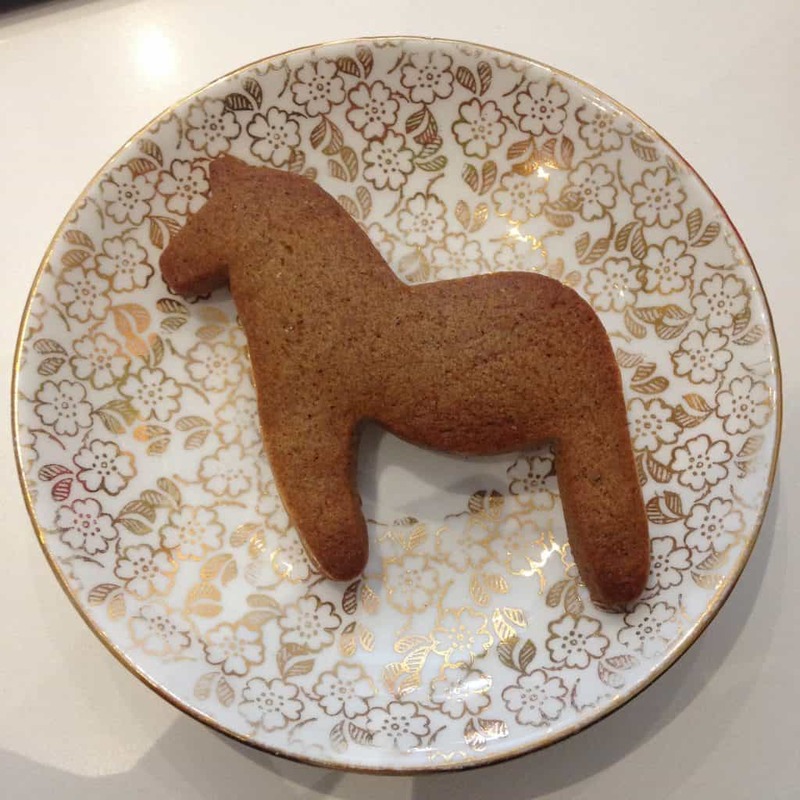 They have little horse-shaped gingerbread cookies (Instagram worthy, and also their logo) and Swedish style cinnamon buns or kanelbulle are a must!